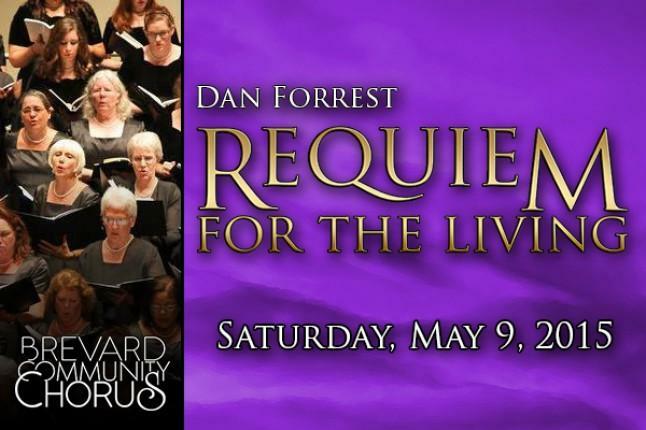 Join the Brevard Community Chorus and the Eastern Florida State Concert Choir when they present Requiem for the Living, by Dan Forrest and Serenade to Music, by Ralph Vaughan Williams. Forrest will be on hand to address the audience about his best-known and much-acclaimed requiem, which offers a fresh and inspiring perspective on life, love, loss and renewal. The five-movement work has been performed dozens of times worldwide since its premiere in 2013. The 100+ voices will be accompanied by members of the Brevard Symphony Orchestra.